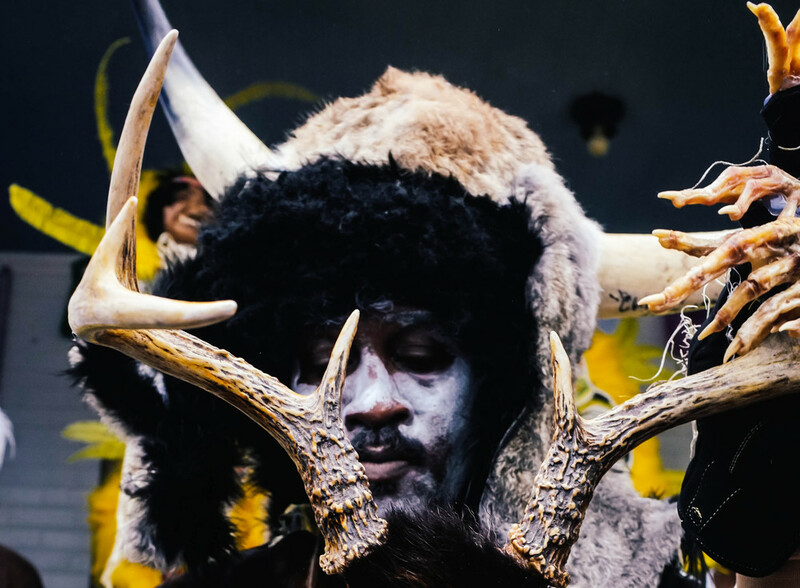 This year I timed my arrival at the Backstreet Cultural Museum perfectly, less than an hour before FiYiYi came "out the door" debuting this year's new suits. 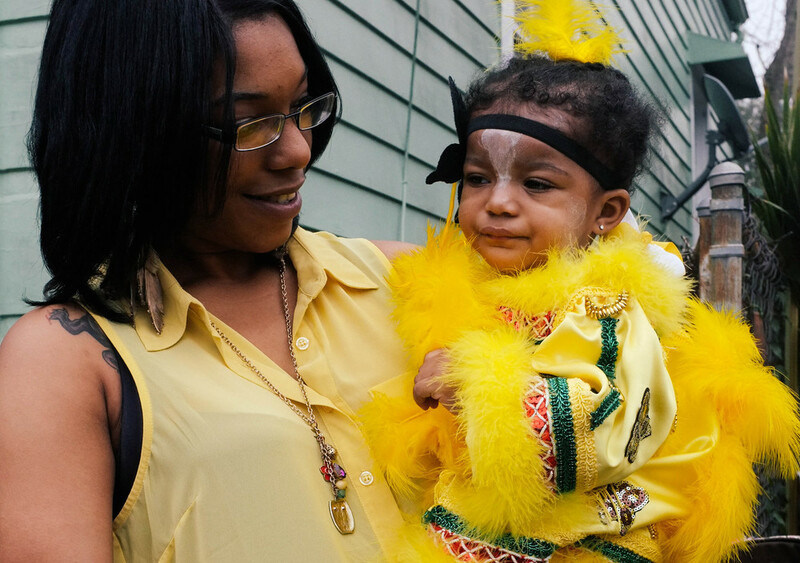 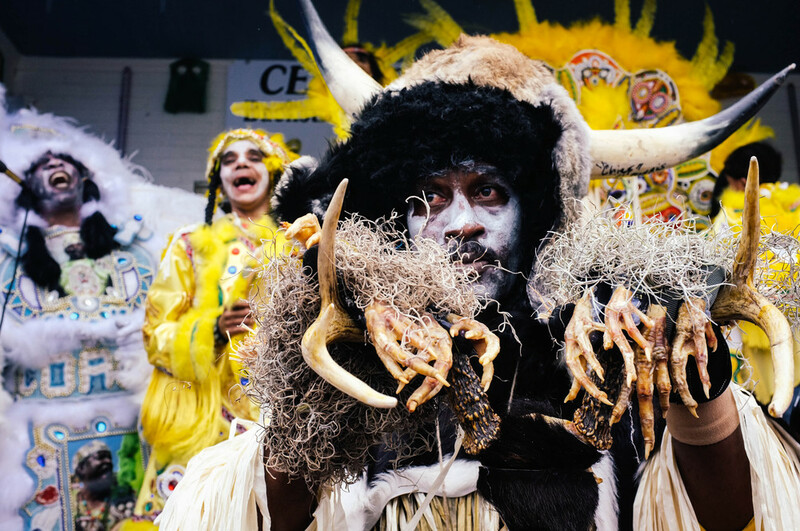 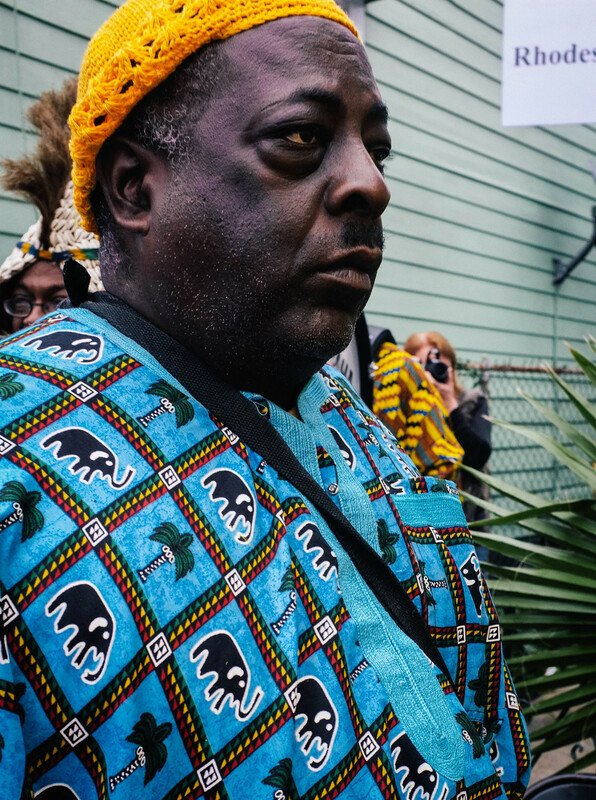 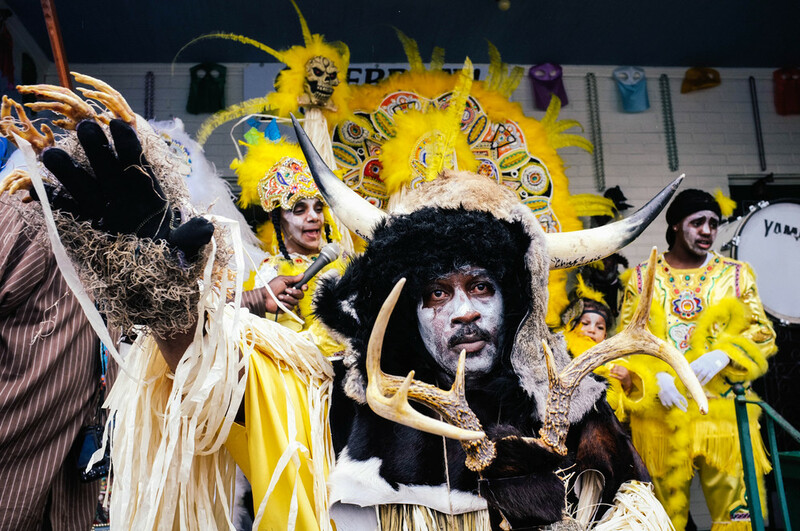 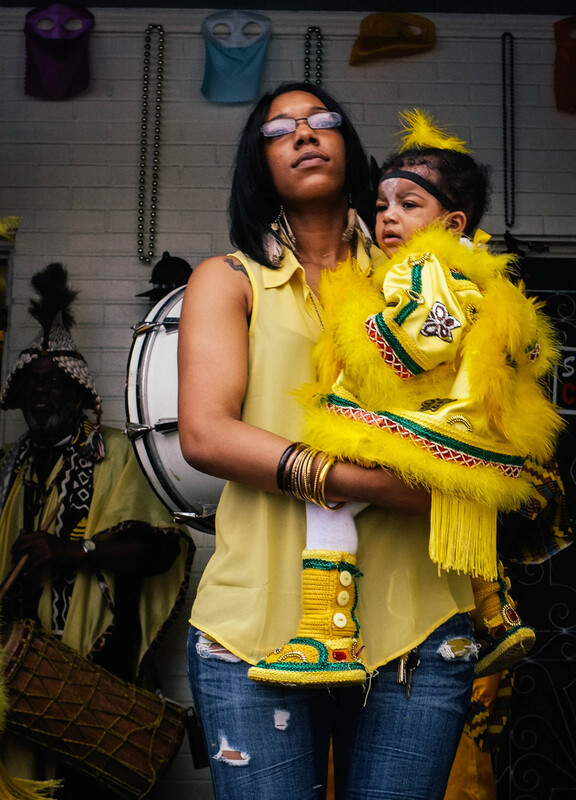 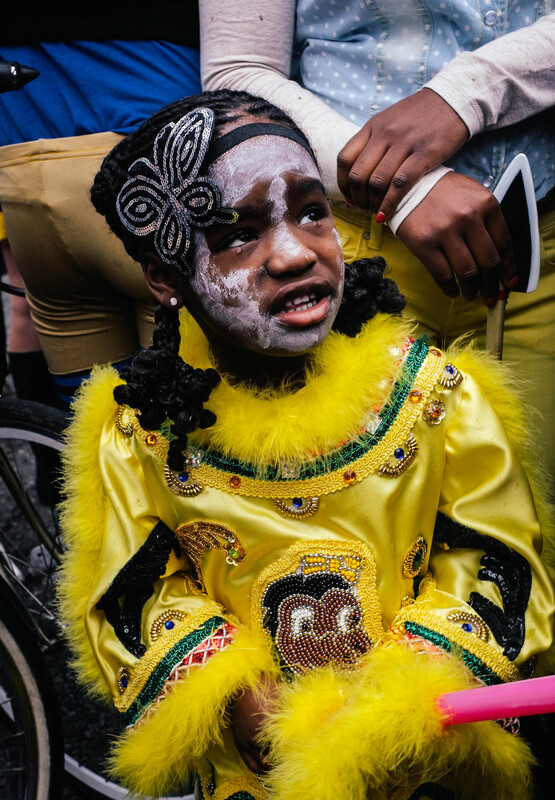 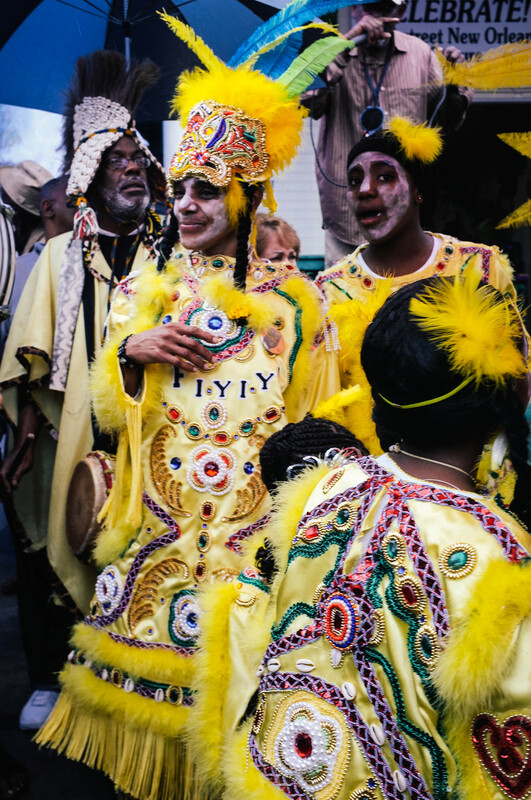 Being a part of a Mardi Gras Indian Gang is truly a family affair, there is not only the Big Chief, but his Queen, his Princesses, his Wildman, and his drummers. 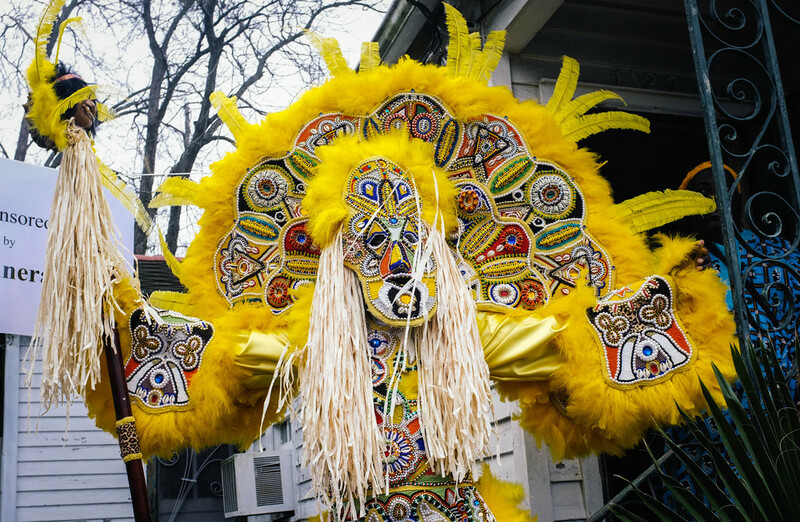 They mask Indian together not only on Mardi Gras Day but Super Sunday, St. Joseph's Night, Westbank Super Sunday and other special occasions throughout the year. 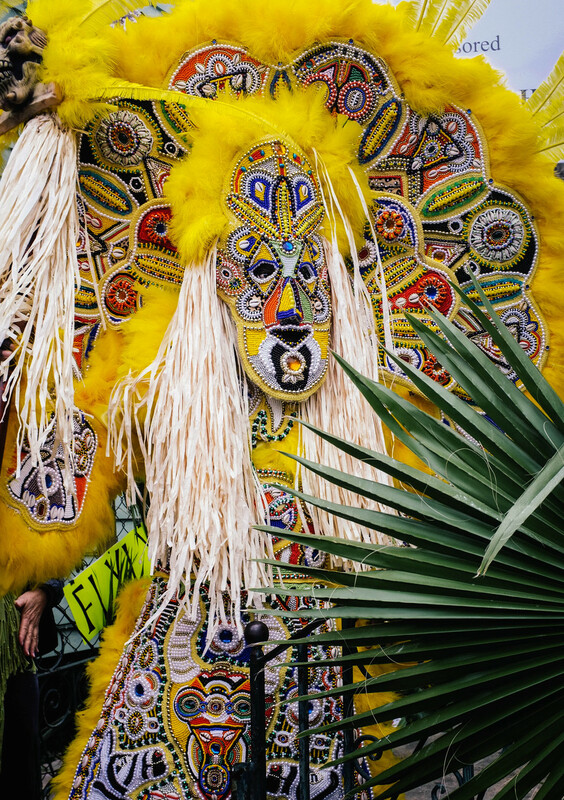 Hours of painstaking sewing go into each suit, and each suit is a true work of art. 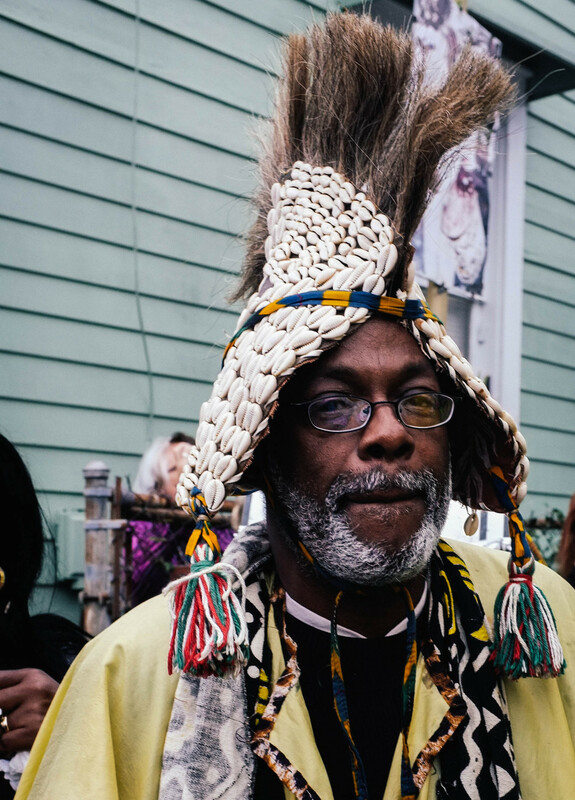 Every single one of those beads are sewn on by hand- not a machine or a glue gun- and it is an incredible labor of love.